Wen Xiu Ren received Ph.D. from Kyungpook National University in 2009. He then joined Prof. Jong Seung Kim’s laboratory at Korea University as a postdoctoral fellow. Currently he moved to Department of Medical Imageology at Southwest Medical University and Department of Radiology at the Affiliated Hospital of Southwest Medical University as an Associate Professor. His research focuses on the design, synthesis, and biomedical applications of molecular contrast agents, fluorescent chemosensors, and anticancer targeting theranostics. His research focuses on the design, synthesis, and biomedical applications of molecular contrast agents, fluorescent chemosensors, and anticancer targeting theranostics. 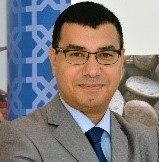 In 2006, Dr. Ahmed M Malki earned his PhD in Biochemistry in the field of molecular oncology from Ohio University in USA. Right after, he held postdoctoral position at the University of California Berkeley in 2007, USA. Dr Malki currently Associate Dean for Academic Affairs at college of health Sciences at Qatar University. Dr. Malki also received the Best Research Award, Global Breast Cancer conference, 2011, Seoul, South Korea, Alexandria University Award for Scientific encouragement in 2012, best poster award at the Annual research Day 2014 and the best poster award for faculty at QU research forum in 2016 and QU health retreat 2019. 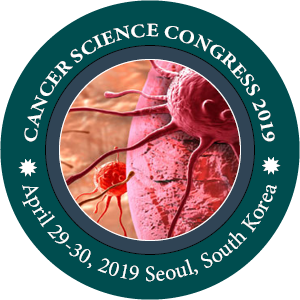 Dr Malki has several peer reviewed international publications in cancer research, he is currently serving in editorial board member in number of international journals. Dr. Malki presented many of his research findings as an invited speaker at multiple international conferences and professional meetings. Dr. Malki’s researches focus on the understanding of the signaling pathways that regulate cell proliferation, cell death and designing novel anticancer drugs targeting p53. Dr. Malki has more than 15 years of experiences in academia teaching undergraduate, graduate courses, supervising students and applied research. He supervised more than 20 master students in the field of molecular therapeutics. Dr. Malki’s researches focus on the understanding of the signaling pathways that regulate cell proliferation, cell death and designing novel anticancer drugs targeting p53. Bogusław Maciejewski has completed his PhD at the age of 32 years and scientific title of a full professor in radiotherapy being 45 years old. He realized research projects in the UCLA Los Angeles, Gray Lab London, MGH Harvard Univ. Boston, MDACC Houston and other cancer centers in Europe. He was the director of Cancer Center – Institute Gliwice, Poland for 24 years, till 2015. He is author of over 200 papers published in reputed journals (IF = 1650, citation index = 3500). He awarded G.F. Fletcher Gold Medal, Gold Medal of Life Achievements in Oncology given by all European oncologic societies as he is a honorary member of American College of Radiology, radiotherapy expert of the IAEA in Vienna and for 10 years he was a member of European Board of Radiotherapy participating in the development European curriculum for radiotherapy. His major scientic interest is importance of treatment time and tumor repopulation and altered dose fractionation in clinical radiotherapy for human tumors. Effects of electromagnetic fields. Molecular Radiobiology. Cellular aging. Biological dosimetry. David Huang finished his BS in physics in National Taiwan Normal University and gained PhD in high energy physics in Temple University, Philadelphia. Before Joining in Duke Kunshan University, Prof. Huang was the chief physicist and RSO, faculty of Memorial Sloan Kettering at Rockville Centre and he was an associate attending physicist in the department of medical physics at MSKCC. Prof. Huang is an adjunct professor at University of Missouri and a visiting professor at MP Program at Tsing-Hwa University, Beijing. He was a visiting professor at Beijing University and an associate professor at Chang-Gung University, Taiwan. Prof. Huang’s research interests include dosimetry and QA in radiotherapy; particularly in in-vivo dosimetry (glass dosimeter), modern radiotherapy techniques (Image-guided intensity-modulated radiotherapy, stereotactic body radiotherapy) and modern radiotherapy modalities (TrueBeam, Gamma Knife, CyberKnife, and Tomotherapy).